Waterborne epoxy systems have now proven their ability to replace or even outperform standard solvent borne technologies in many coating applications. They are thus ready to meet a growing global demand for environmentally benign product solutions, without compromising performances. Three major routes for the growth of waterborne epoxy technologies are cost reduction, lower Volatile Organic Compound (VOC) content both in binder and paint, and improved performance of coating formulations. This presentation will focus on the newest developments and innovations targeting these directions, in order to identify the best performances possible with commercial and developmental products. How can we use binder design and paint formulation to push the limits regarding key demands such as fast dry, high flexibility, outstanding adhesion, chemical and long term corrosion resistance, as well as VOC reduction. 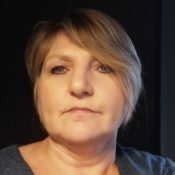 Linda Coppin Distribution Manager - Epoxy EMEA - Hexion B.V.